For a young scale up like Sunna Design, being associated with an European design event is essential. 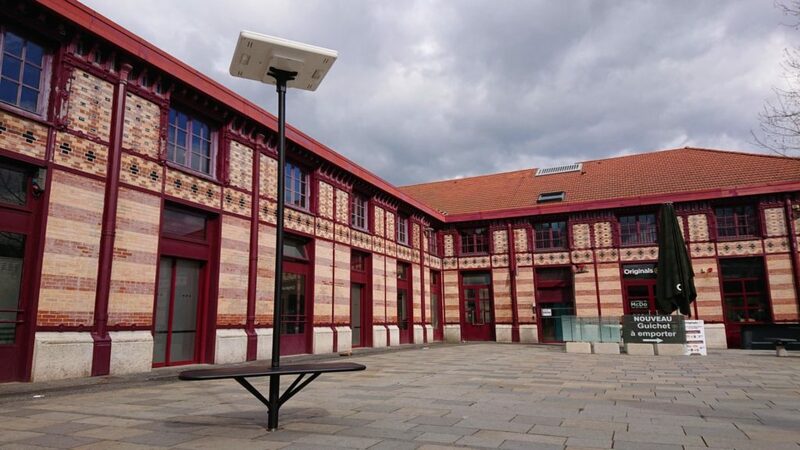 If you are visiting Saint Etienne for the Biennale du Design, wander through the public space to discover our unique solution developed by Ledin and Sunna Design. Installed in front of Châteaucreux station, an autonomous solar powered bench awaits you. The dimmed lighting lights up as soon as you approach, at any time of the night, for all seasons and for a minimum of 10 years. This solarized and autonomous urban furniture, therefore mobile in a public space, is illuminated by a Maxi Area streetlight with motion detection. 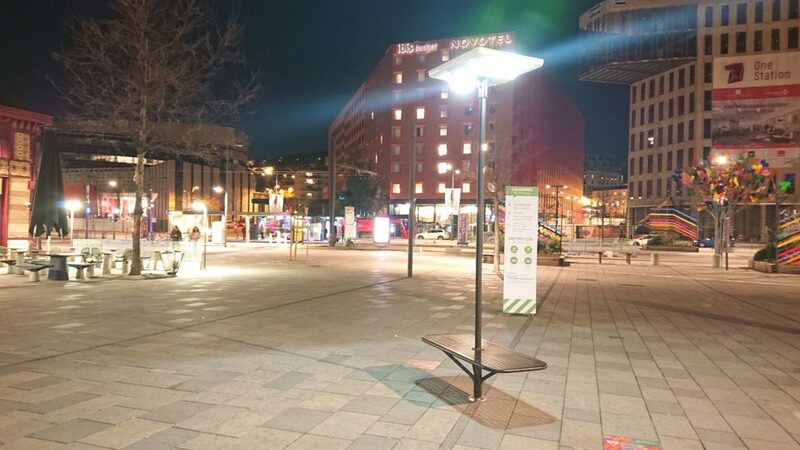 Powering urban furniture with autonomous solar lighting in squares and forecourts in major European cities is our challenge. Our solutions, autonomous from the electricity grid, in addition to providing comfort lighting, can integrate connected tools to improve traffic or safety and thus be the foundations of a smart city. They operate on sustainable and optimized autonomous energy with a guarantee of non-stop operation (mains failure or prolonged bad weather). At Sunna Design, we imagine smart solar street lighting solutions integrated with street furniture. Our unique design, fully integrated at the top of the pole, addresses the problems of vandalism and the LED modules are equipped with high-performance optics for uniform circular light diffusion. This autonomous and connected street furniture maintains permanent lighting during the night with presence detection and uses energy predictive control indexed on the measurement of the density of surrounding traffic. Finally, a permanent “monitoring” of the system analyses the data on the use of the equipped site. In addition to resisting strong thermal variations, its durability is guaranteed for 15 years without maintenance and runs entirely on solar energy all year round. The measurements and analyses of the site’s traffic data make it possible to adapt the furniture to the service of the city’s residents.